MONTINI VILLA - timeless elegant, very comfortable and lot of space. Very elegant historic Villa in an absolute quite location, surrounded by 50 hectares of private land. The heated pool is located 15 meters form the villa with large meadows, deckchairs and beautiful views. The villa offers all modern comforts: dishwasher, complete laundry, SAT-TV in English, private telephone line with Internet access, maid service twice a week include, save car park. Upon request (except High Season) the villa can be rented also for smaller groups. Please ask for a discount. For groups up to 32 persons you can rent also Cypresso, 200 meters distant in a independent position with private pool. Welcome Dinner and Cooking Classes on request. This typical Tuscan Villa is a freestanding structure from the late 1700's, and is located close to vineyards and wide open fields, in a daunting position surrounded by rich Mediterranean nature. The front opens up to a large grassy area, just great for catching some of that Tuscan sun serenaded only by the sounds of nature. There is a lovely terrace in front of the villa partly covered, with a large table for al-fresco dinning. The house is reached by a private road so you can be assured of privacy and silence. From the living/dining room you have direct access into the kitchen. The kitchen is perfect for large groups, there are all modern amenities, such as dishwasher, clothes washer and a super size American style fridge with a double door. There is lot of working space in the kitchen. The kitchen connects also to the outdoor terrace in front on the villa. There you find a large garden table and chairs for the whole group to have your meals outside. There is also a BBQ area outside and an authentic wood burning stove if you would like to try your hand at making your one pizza! Celebrate your Tuscany Pizza Contest right here. Put all ingredients to decorate the Pizza on the large table, like sliced tomatoes, onions, tuna, ham, cheese, olives and much more. Each person picks a prefab pizza bottom ( you can get it in the local Coop market) and chooses its personal items to decorate and create its own personal Pizza. Let’s see which one is more tasty? The rooms here have 4 meter high ceilings which accents the massive wooden beams that were used to construct the villa. From the ground floor you have an internal staircase as well as an external staircase to access the first floor with the bedrooms. Going up the internal staircase on the left side there is a beautiful double bedroom with a large En-suite bathroom with a tub. It has a large closet area where you can walk in. 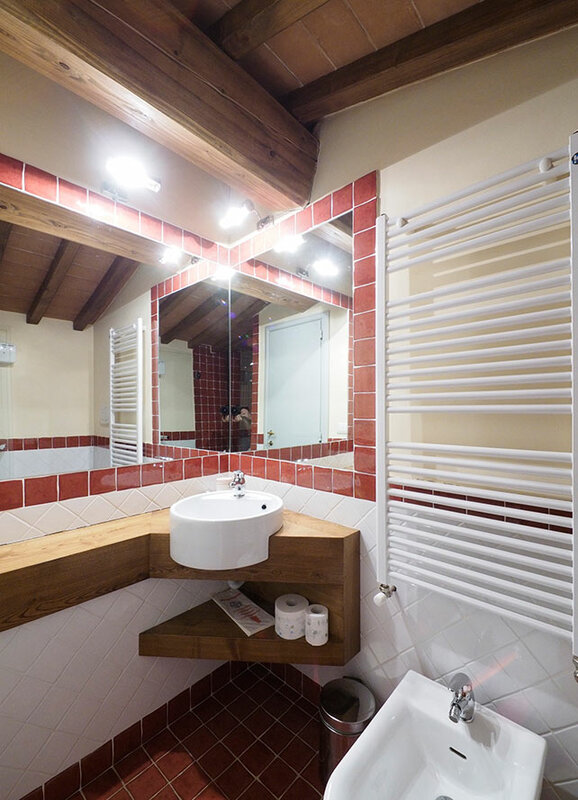 All bathrooms are top level, completely new and tiled in splendid Italian ceramic! One bathroom has a tub all others have a large shower box. 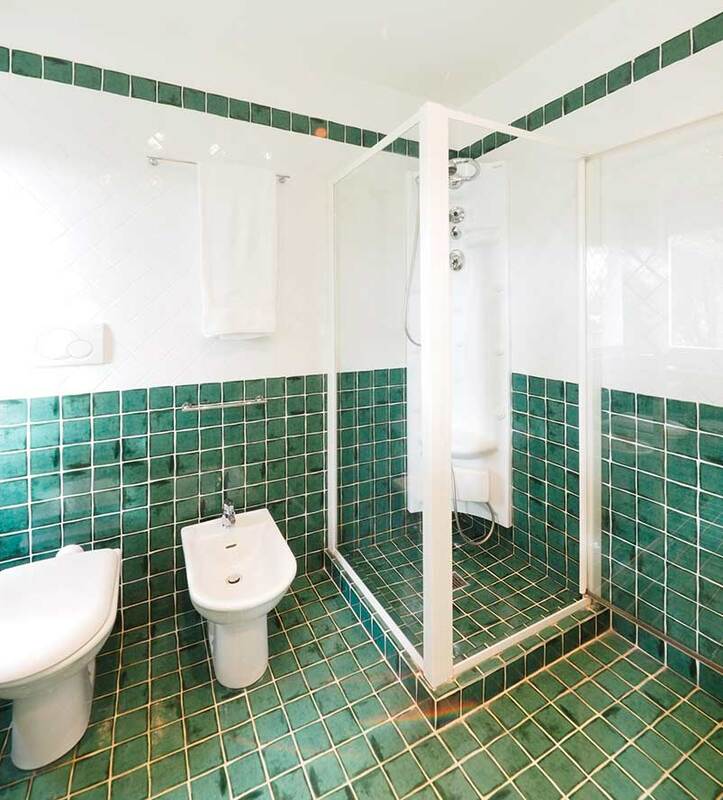 All have WC, bidet and a sink. The 14 x 7 meter pool is the place to go and cool off after a long day sightseeing. The villa is surround by large meadows, vineyards and 200 year old cypress and oak tress trees. There are more than 50 hectares of private land that surround the villa keeping you totally isolated from outside interruptions. In spring and autumn the pool is heated. The ground floor offers lot of space during the day. The rooms colored in white in the back part are storage rooms, one of them serves as a laundry room ,one holds the heating system and in the largest there is a ping pong table for rainy days. Up the stairs to your right hand you find the TV-room. There is a sofa and armchairs and a large Plasma TV. You have SAT-TV with several English speaking channels (news, films and cartoons). From this central TV-room there are two corridors leading to 3 bedrooms each. On the left side you access the two bedrooms that have windows on the main facade, looking down in the garden and towards the pool. Both share one large bathroom. The third bedroom has its one private En-Suite bathroom with shower box. The other corridor brings you in the side wing of the Villa. This part has been planned to be an independent apartment with its one entry, living room and kitchen. But we rent only the whole villa to one group at a time. In the side wing you have 3 bedrooms each with its private bathroom. All bedrooms can be set up either with to single beds or with one queen-size bed. At the end of the corridor in the left corner of the side wing you have another living room with open fireplace. This living room offers a comfortable sleeping couch for 2 persons, just in case you need more space. Behind this living room there is a second kitchen. This kitchen is completely furnished with dishwasher, 4 burner stove, oven, fridge and double sink. It is smaller than the large kitchen downstairs but very practically if you want to do a small lunch or breakfast upstairs. The Villa was designed to offer really the best, so that your Tuscan vacation will be perfect. The villa is equipped with SAT TV with English channels, a private telephone line and a computer with Internet access. The Villa MONTINI has seven bedrooms and six bathrooms, this villa will comfortable hold up to 16 persons. Each bedroom has been tastefully decorated, with its own charm and personality. The closest town is Bibbiena, where you can find a charming historic center and supermarkets, shops, pharmacy, restaurants etc. Easy day-trips to Arezzo, Florence and Siena are highly recommended. Only 200 meters detached from the main Villa, but in an independent location, there is a second villa from the same owners. It holds six spacious bedrooms, 4 bathrooms, two kitchens and two living rooms, each with an antique fireplace. If you have a group of up to 32 persons you can rent both houses together. Have a look at CYPRESSO to see all details of this villa. Pets are allowed in the house, but not in the beds, on sofas or in the Pool. A chef can come in and do a Tuscan meal for you. Payment on site! Open fireplace in the house, fire wood is availabel on site! You can use the fax machine in the office ot the owners. Approximate distance from the villa a/o apartment to the closest general food store - with basic needs. Would you like to have a one or two day cooking class in your holiday Villa? Do you want to learn practically that special Italian receipt, or that special Tuscan plate you love to eat. A experienced English speaking Lady will teach you all you want to know about Italian cooking. For detailed info’s click on the link above. Would you like to do a one day tour visiting 3 selected wineries? In each winery you will taste a minimum of 4 different whines plus there will be a light dinner in one of them. You will travel trough the most scenic parts of Tuscany in an air conditioned van with English tour guide. For detailed info’s click on the link above. You can also visit the local wineries near the villa by yourself. The caretaker of the house will provide you with all necessary information on the wineries close by. Close to the property a horse riding ranch offers guided trekkings or riding lessons. Welcome Dinner Price 30.- to 45.- € each Person, to be paid on site! You find a place for a dinner in walking distance from the house. We enjoyed a beatiful clean Villa with a a splendid situated swimming pool. 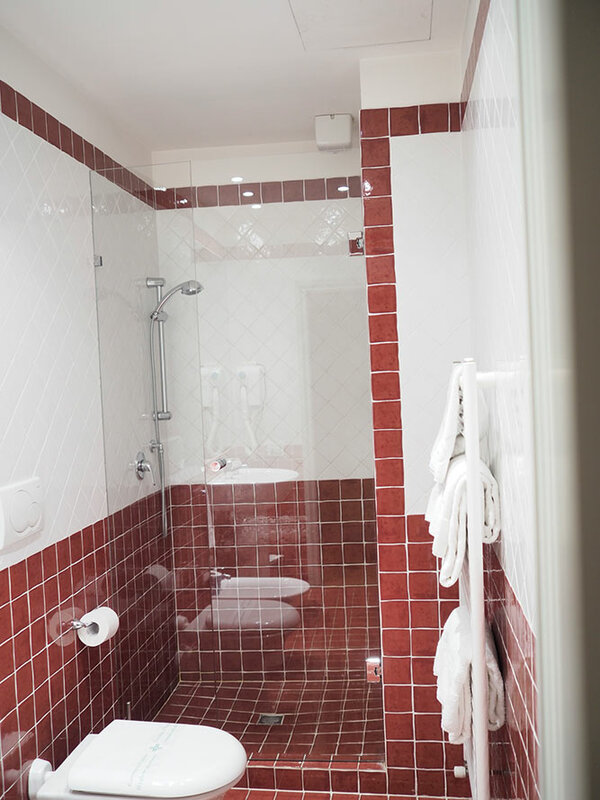 Spacious sleeping rooms with modern arranged bath rooms.Very friendly service etc. Every family member was pleasant amused and fully satisfied about the whole week in the Villa and the region, not withstanding one rainy day. It's been a great place to have a clan gathering, especially as its nearby the frost time we have seen the sun this year! A pool in October is a real bonus. We have stayed in the Montini Villa the first week of May and would like to mention that it is an absolutely fabulous place. Thank you! Everything is recently renovated and therefore is in a very good state. 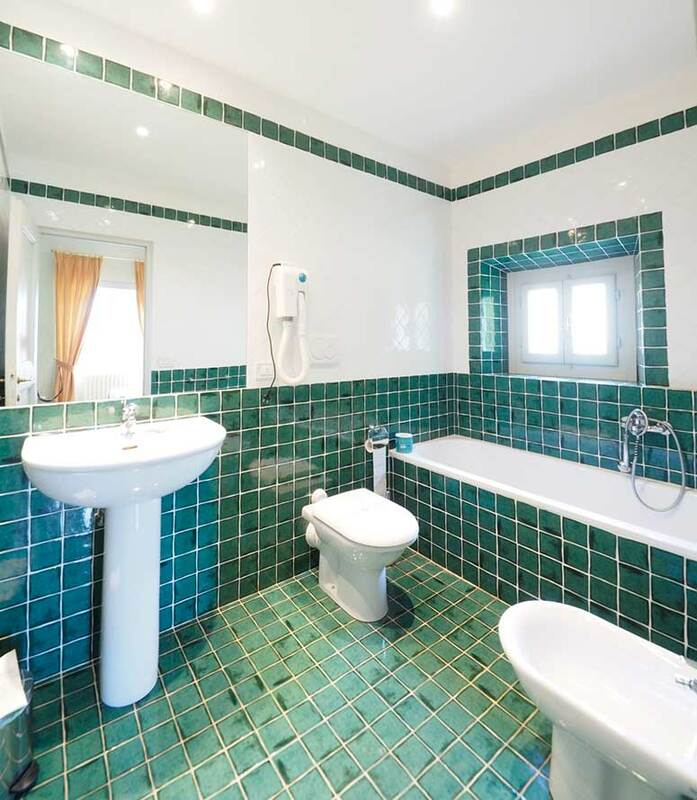 The villa is very spacious and luxurious and has every detail you want, like good bathrooms (and very clean! ), good kitchen equipment (for many persons) and a really comfortable (heated! Necessary for children in this early period of summer) swimming pool. I would definitely recommend this villa to friends, family and others and note that it is ideal to stay there with 3 families with children.